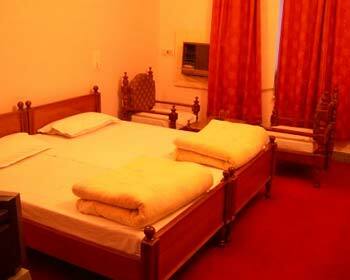 Located in the Sadul Ganj area, which is heart of Bikaner, Padmini Niwas is a heritage hotel that is offer comfortable stay to patrons traveling to this walled city. The hotel is very popular among business travelers and tourists because it blends traditional hospitality with modern day amenities. 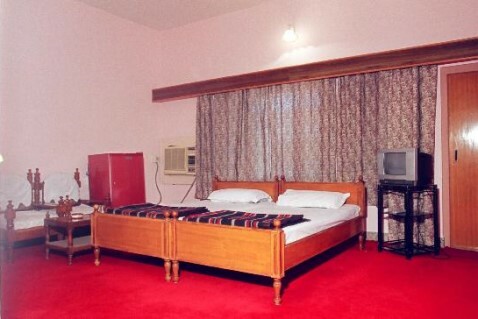 The hotel offers very convenient accommodation options to travelers in three range of air cooled rooms, deluxe air conditioned rooms and super deluxe air conditioned rooms. All the rooms are designed to reflect the royal feel of this heritage city. Keeping the culinary tradition of Bikaner alive is the in house restaurant at Padmini Niwas, which serves authentic local food along with popular global cuisines. 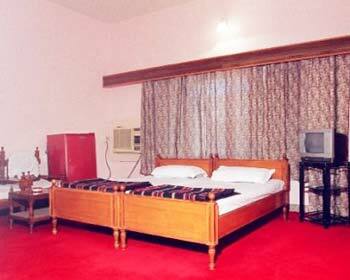 In addition to this the hotel offers several other facilities and services to make patrons stay comfortable. These include safety deposit lockers, doctor on call service, wifi high speed internet access, open swimming pool, foreign exchange facility, same day laundry, spacious free parking area and dedicated travel desk to take care of all travel and sightseeing needs. 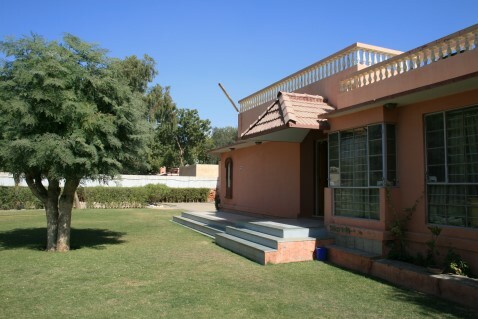 Padmini Niwas also boasts of a well maintained lawn which is ideal for hosting social events and corporate functions. The hotel also organizes treks, camel or jeep safaris, folk dance and music performances and puppet shows on special request of guests. Air Cooled Rooms are simple and minimalistic as far as décor and interior are concerned; however, this doesn’t mean they are not comfortable. The rooms are elegantly furnished with antique furniture and modern amenities such as color television with premium channels, telephone line, attached private bathroom with shower and bathtub, continuous supply of hot and cold water. Deluxe AC Rooms are meant for guests who seek complete comfort without compromising on the regal stay experience. The overall design and décor of the Deluxe rooms is done very tastefully to reflect the rich culture and heritage of this great city. These rooms are not only meant to look good, but also include comfort amenities to cater to any requirement of clients. The list of in room amenities include color television with premium channels, telephone line, private bathroom with shower and bathtub along with hot and cold water supply. 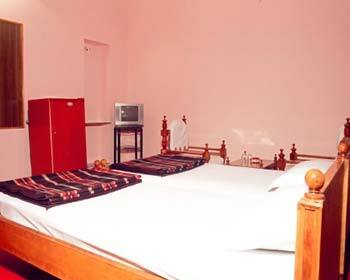 The regal architecture and warm hospitality makes these rooms an ideal staying option for tourist. When luxury and comfort blend perfectly, they take form of the Super Deluxe Air conditioned rooms available at Hotel Padmini Niwas, Bikaner. These super deluxe rooms have very rich décor that is adorned with traditional furnishing and heritage artifacts. In addition to this, this spacious room has a lavish bathroom that is adorned with a shower area and a bathtub. On the amenities front, the Super Deluxe rooms are equipped with color television, air conditioning, cable connection and many others which cater to majority of client’s requirements. Experience the ethnic cuisine of Rajasthan by dining at the in house restaurant of Padmini Niwas Hotel. The restaurant serves authentic local delicacies that are prepared as per traditional recipe using rare spices and herbs that give it a unique flavor. Patrons can also find popular dishes from global cuisines on the menu here. 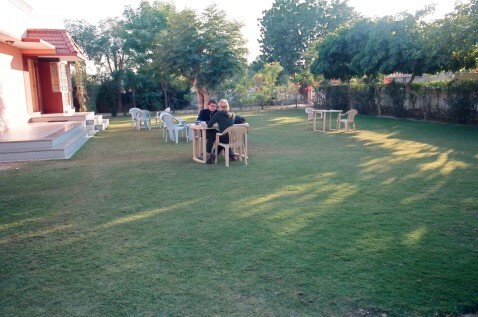 Guests also have option to dine in the well maintained sprawling lawns that the hotel has to make dining a memorable experience.